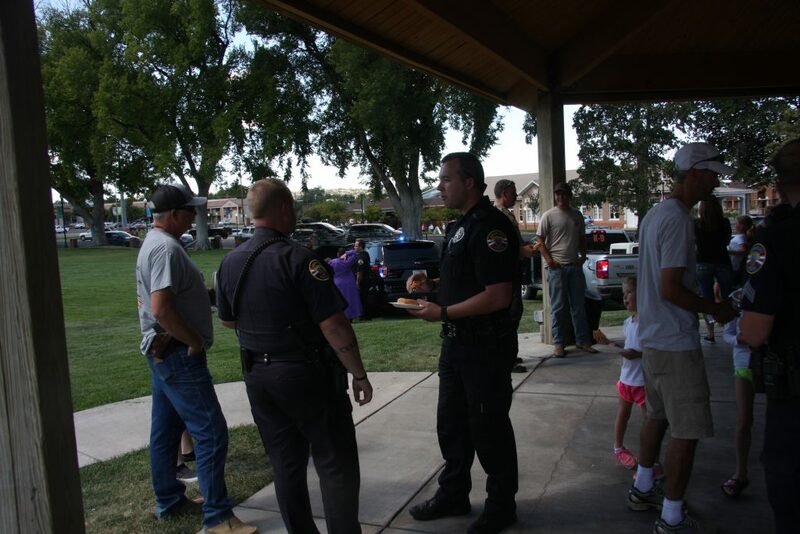 CEDAR CITY — Dozens of people joined local law enforcement officers for free pizza and donuts Saturday afternoon at the latest “Lunch with a Cop” event held at Cedar City’s Main Street Park. 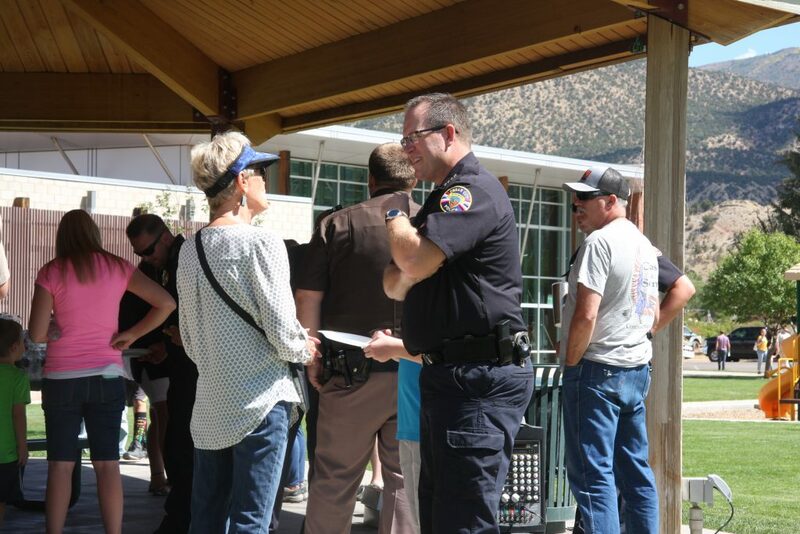 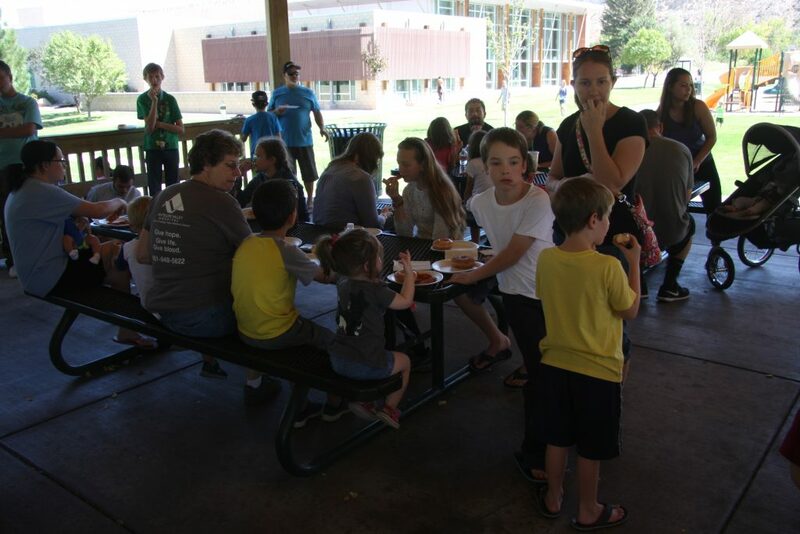 Cedar City Police officer Isaac Askeroth said Saturday’s free lunch marked the third such event that local law enforcement agencies have conducted. 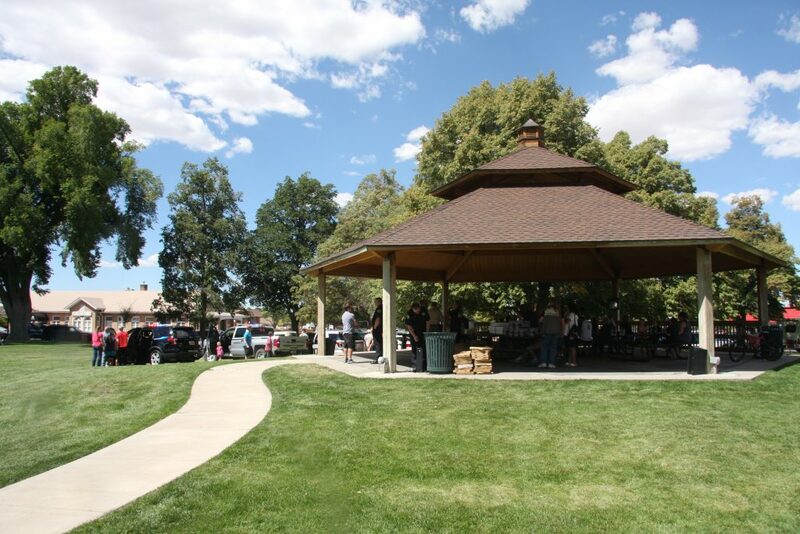 The first one took place in the fall of 2014. 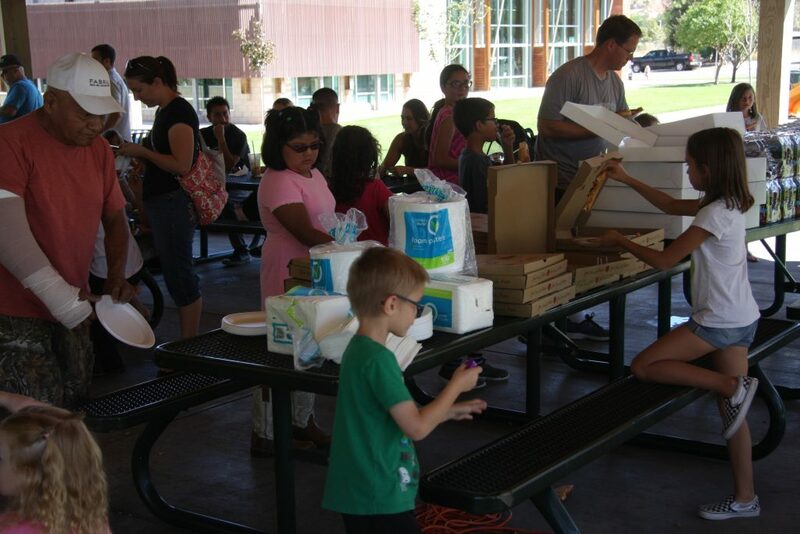 “This is the third time we’ve done it, and we hope to do it on more of an annual basis,” he said. 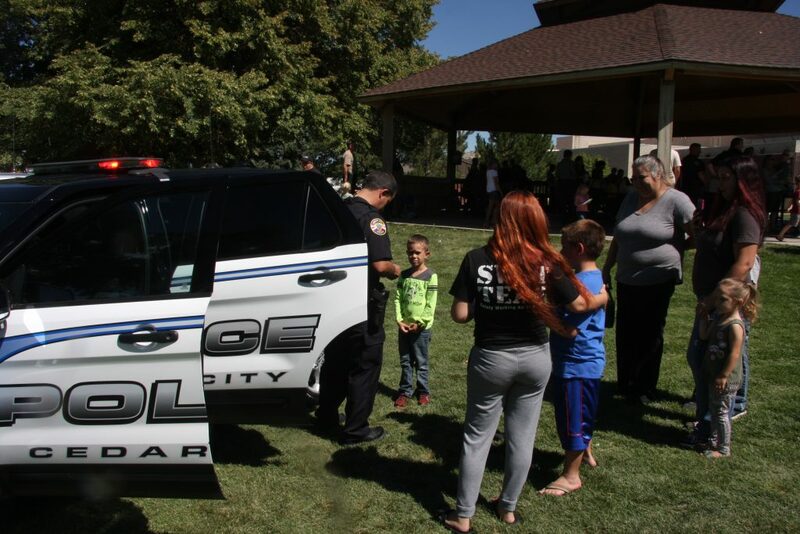 The idea behind the community outreach event, Askeroth said, is to provide a chance for members of the community to interact with law enforcement in a positive setting. 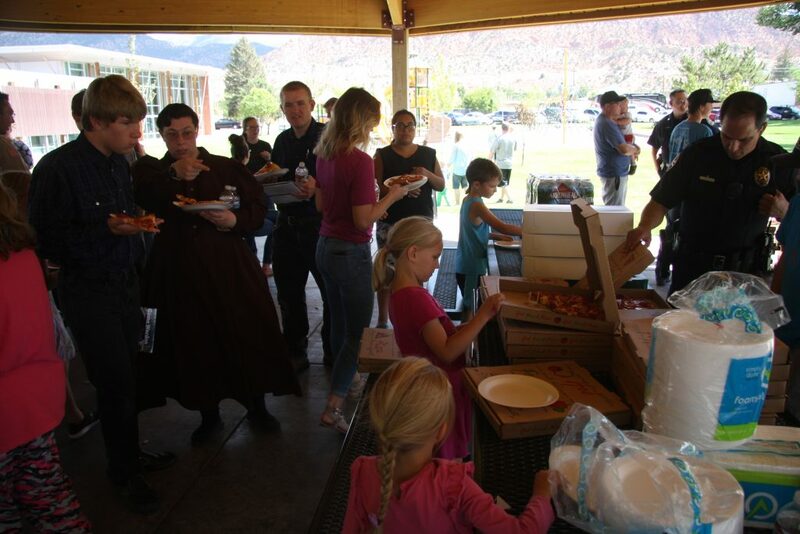 While individuals and families snacked on slices of pizza and glazed donuts, approximately 20 officers and officials from at least five local agencies visited with people in and around the pavilion. 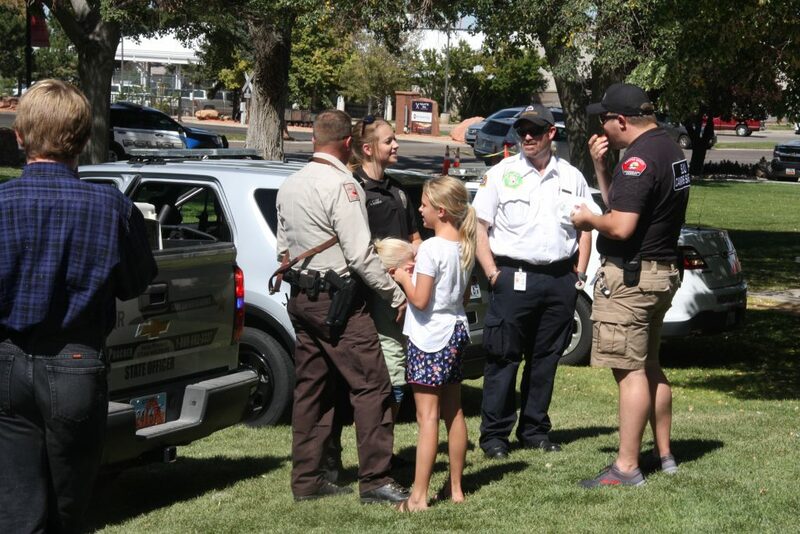 Cedar City Police Chief Darin Adams and Lt. Jimmy Roden were there, along with several of the department’s officers. 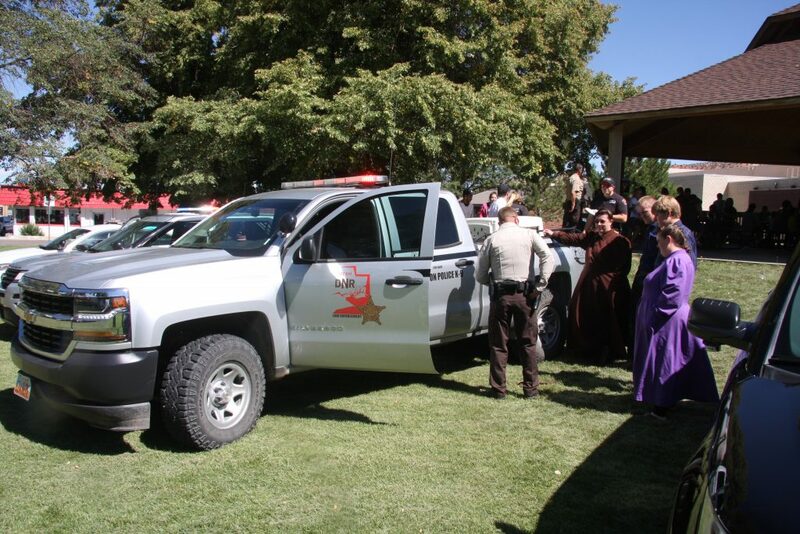 Also represented were Iron County Sheriff’s Office, Utah Highway Patrol, Utah Department of Natural Resources and Southern Utah University Police. 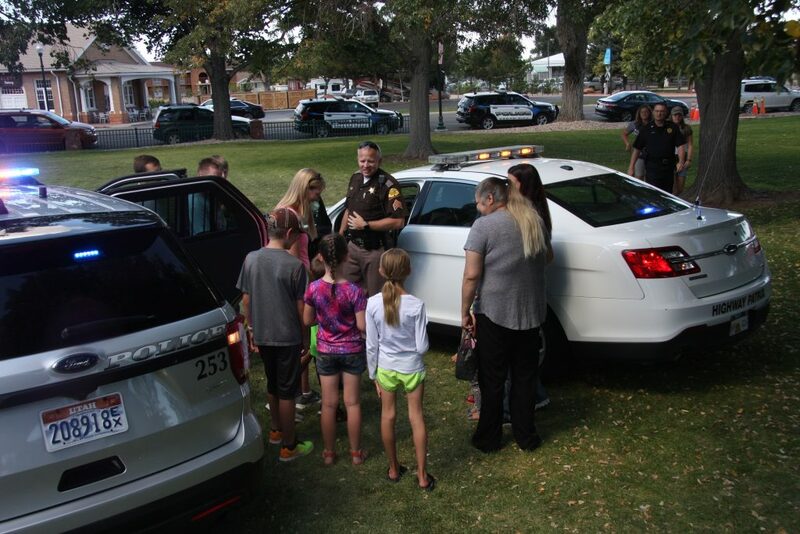 Four of the agencies had their patrol vehicles parked on the grass next to the pavilion, and interested attendees gathered to hear what the various officers had to say about their vehicles and specialized equipment. UHP Sgt. 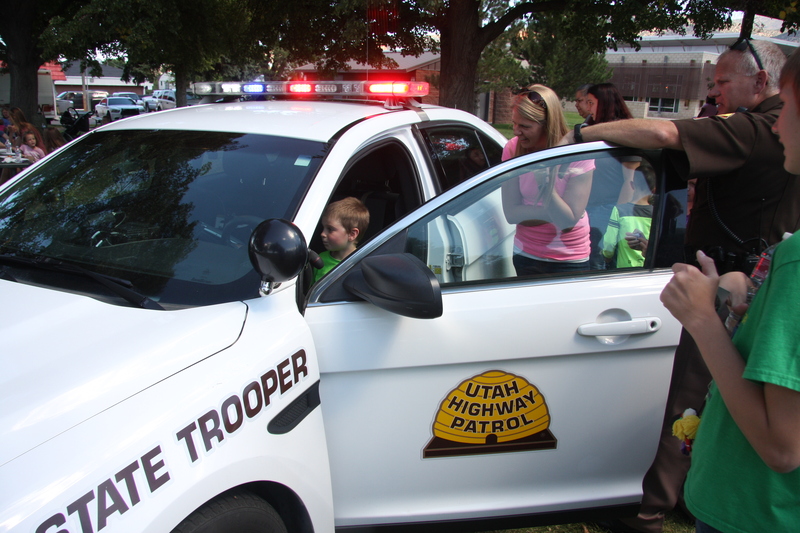 Ryan Bauer invited young children to sit inside his patrol car and activate the lights and sirens. 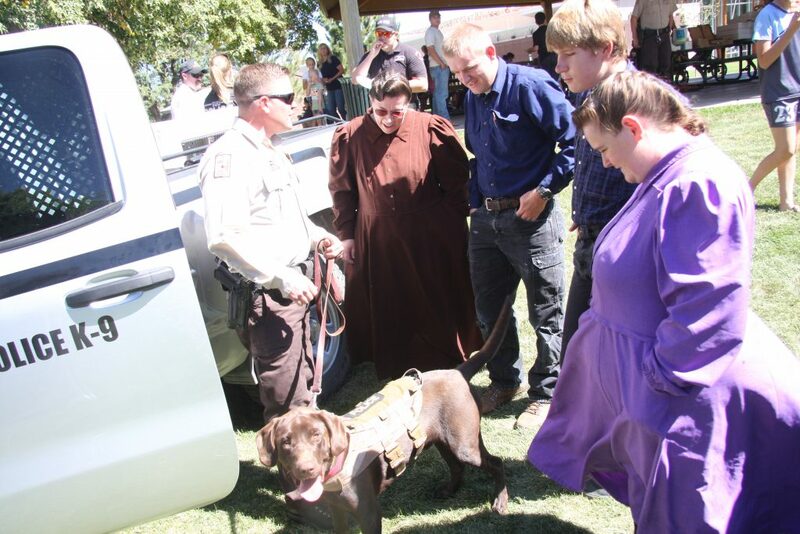 DNR conservation officer Josh Carver was there with his new K-9 dog in training. 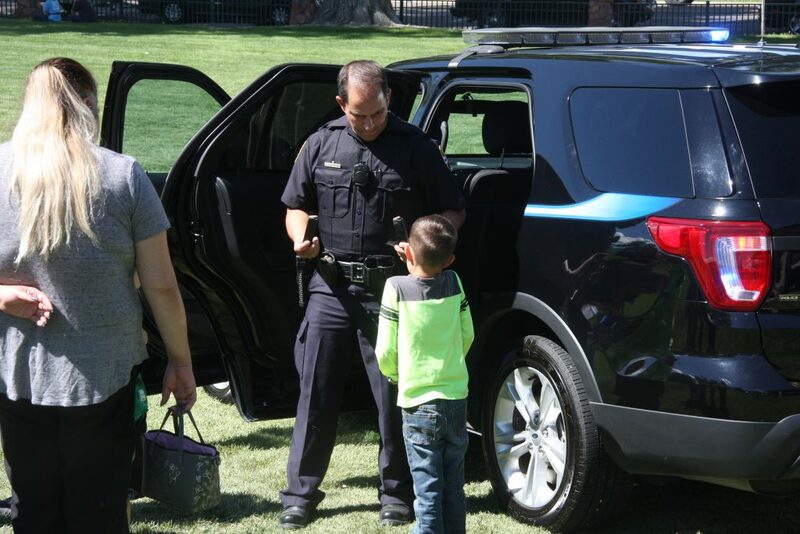 Other officers answered questions about their service weapons and other equipment carried on their person or in their vehicles. 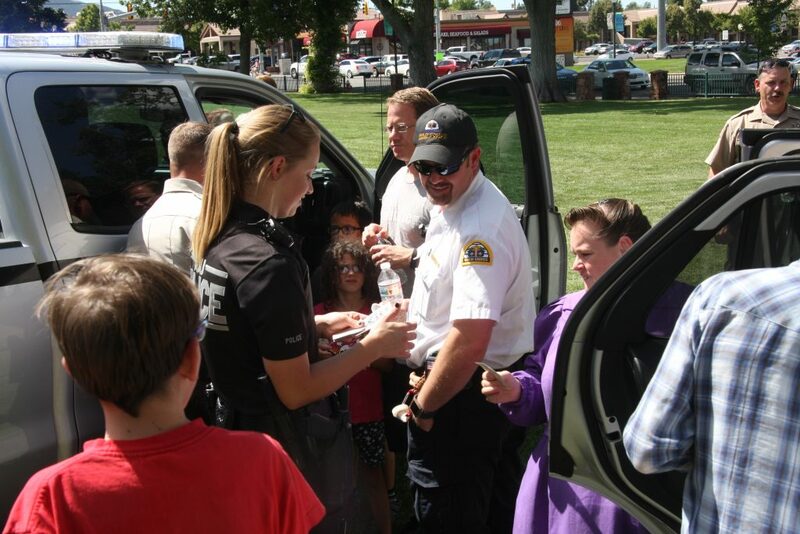 Stickers resembling an officer’s badge were handed out to kids. 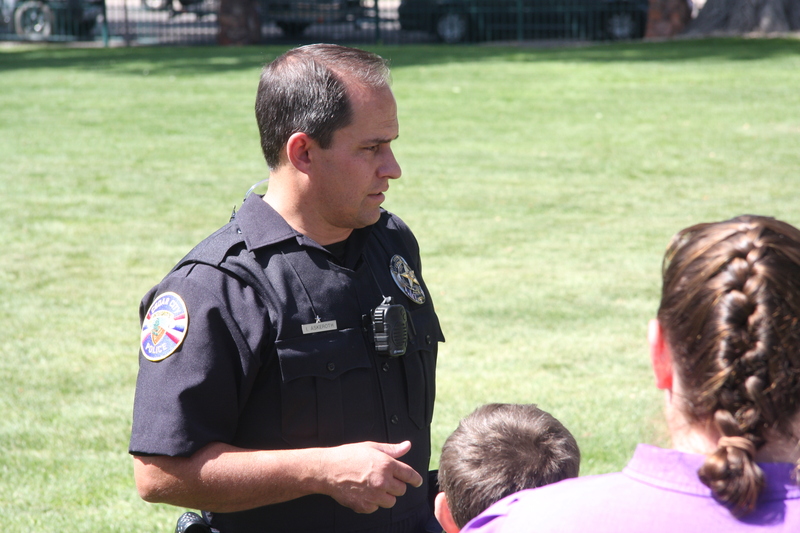 Askeroth said he looks forward to more community outreach opportunities that enable a more proactive approach to police work. What a great idea for a city to get behind! 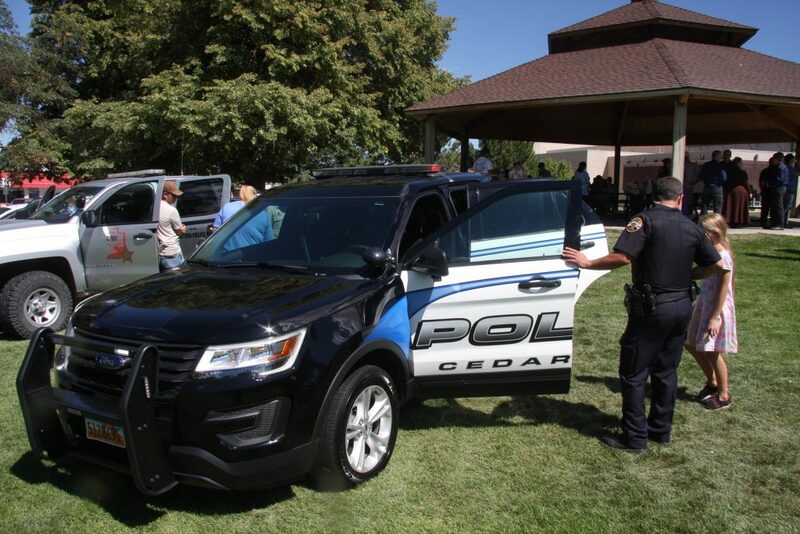 Thanks for a positive bit of news.